I have taken part in the French Revolution Rally a few times in the past with friends and last time with Marcus, my son. This year Sue, my wife and I entered in our Works Rally TR4. The nature of the event, for those not familiar, is of a road regularity rally. Some regularity rally’s can be a little tedious, with long stretches of straight roads having to be run at 50kph. This is not the case with the French Revolution, which is by comparison, fast and furious. 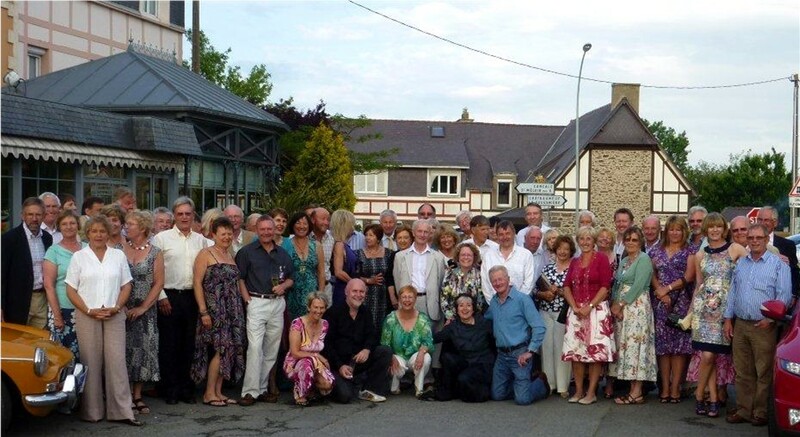 The event started in Trouville Sur Mer, after the opening dinner at the Hostellerie du Vallon. Most Competitors took an early night, as the rally started proper first thing Monday morning. Our rally didn’t start well as we encountered a herd of cows just before TC3 and try as we might; we couldn’t regain sufficient time and consequently scored a maximum, which didn’t bode well for the rest of the rally. The route wound its way round to Bagnoles de l’Orne; a beautiful spot, which is typical of the Normandy area we were traveling through. 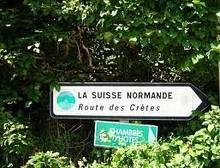 On Tuesday the route took us through Swiss Normandy taking in very pleasant areas of the Calvados Region. Our best day was Wednesday the 9th of June when we were 4th on the day, but this was really as good as it got for us. One of the features of the French Revolution Rally is speed changes; we encountered as many as 4 one after the other, in one section. It would be fair to say that Sue, not having done a rally of this nature for some time was a little rusty, but then we always share the navigation so our performance, or lack of it, is always a joint affair. The last day as ever proved to be a sting in the tail, with many secret controls. We managed to get all of this tricky route correct, but unfortunately discovered later that a large proportion of it had to be canceled as one instruction was apparently incorrect. We had sailed round the junction oblivious to the fact that it was drawn slightly incorrectly. But as they say, that’s rallying! As it was, it did not make any difference in the rally, as we were firmly mid-field and out of the pots. TR’s were well represented with 6 TR’s taking part, all being Michelotti bodies: Gareth and Ursula Firth brought one of the other Works TR4 Rally Cars; 3VC, Susan Dixon in their TR4, Chris and Michelle Collingham in their TR4A, Tim and Penny Somervell in their TR250 and last but not least congratulations to the overall winners, Peter and Rayna Jackson in their TR5. Congratulations none the less to Nicky and John Walsh, for putting on an excellent rally, which we enjoyed thoroughly. If you would like to read a full report on the French Revolution Rally please click here. The French Revolution is a Conquest Events Rally, run by Nicky and John Walsh, for more information on the French Revolution Rally please visit the Conquest Events website.